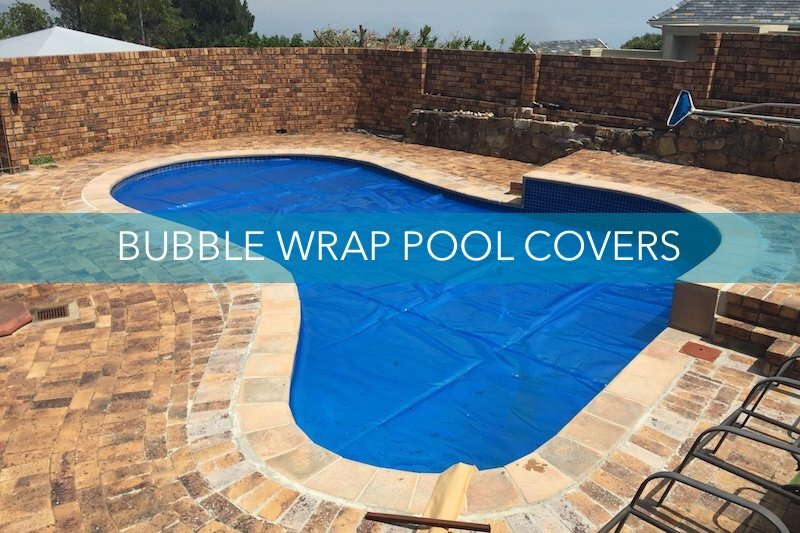 Bubble Wrap Swimming Pool Covers Cape Town. 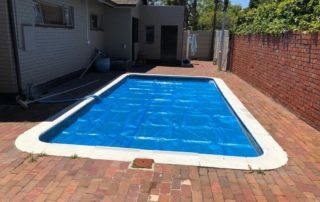 Best Prices Available. 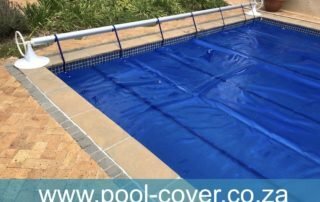 We are suppliers of bubble wrap pool covers / solar blankets, Pool Roll Up Stations, Pool Safety Nets, Pool Water Top Up’s at competitive prices subject to stock availability. 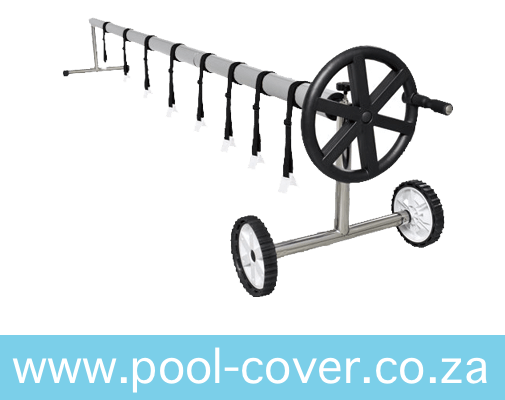 Contact us to check stock availability, pricing & more info. 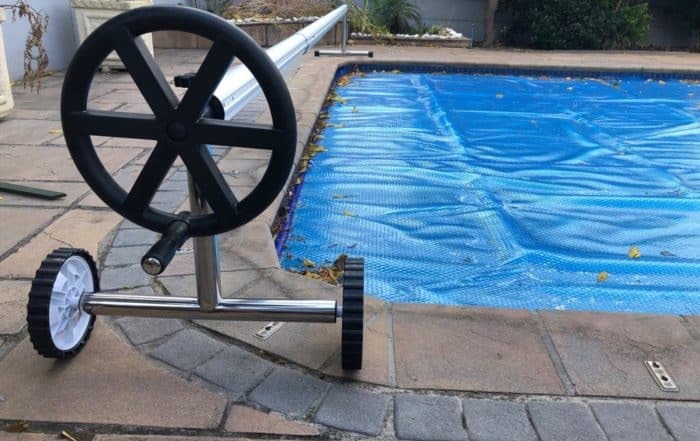 Made available as a simple, cost effective, DIY installation. 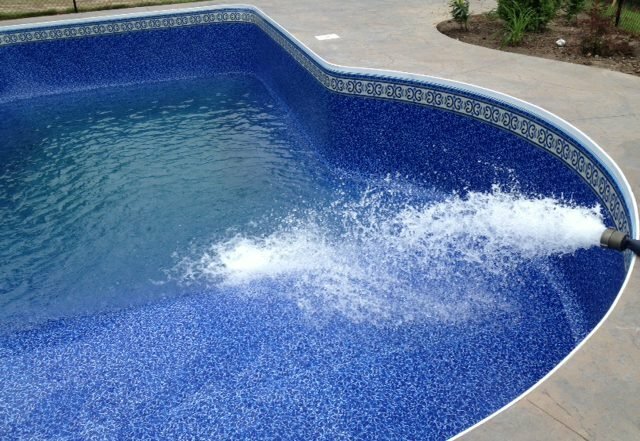 We offer competitive pricing, great service, quality products. 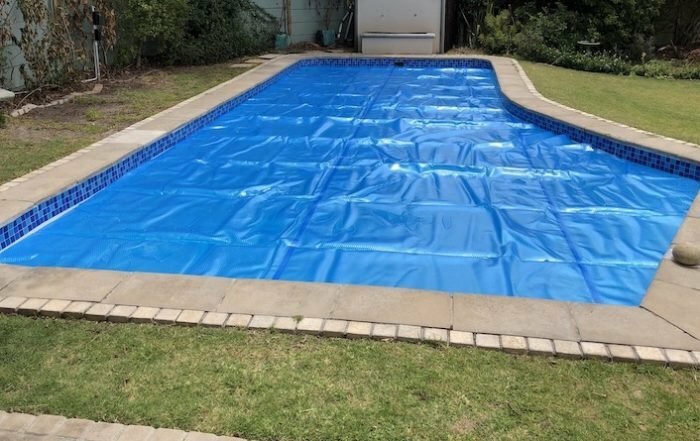 We supply solar pool blankets / bubble wrap pool covers in various sizes to cover your swimming pools water surface area. 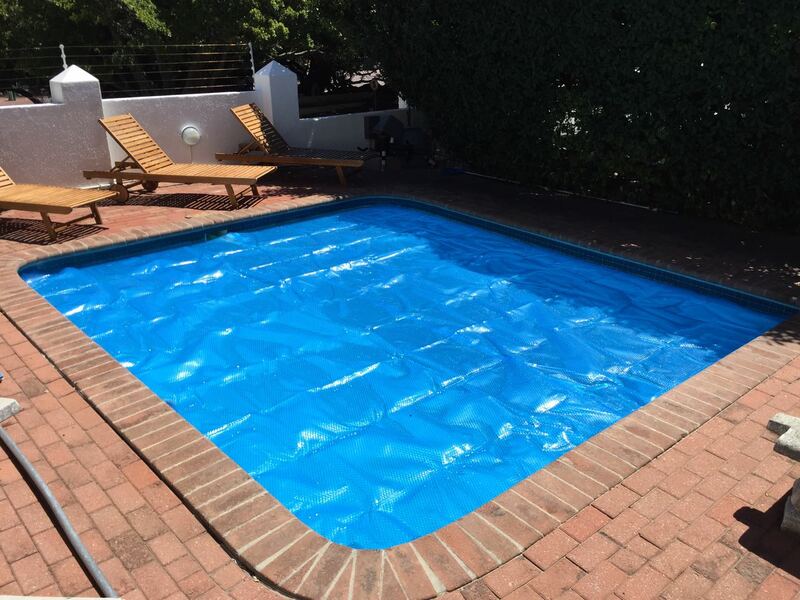 We offer competitive pricing. 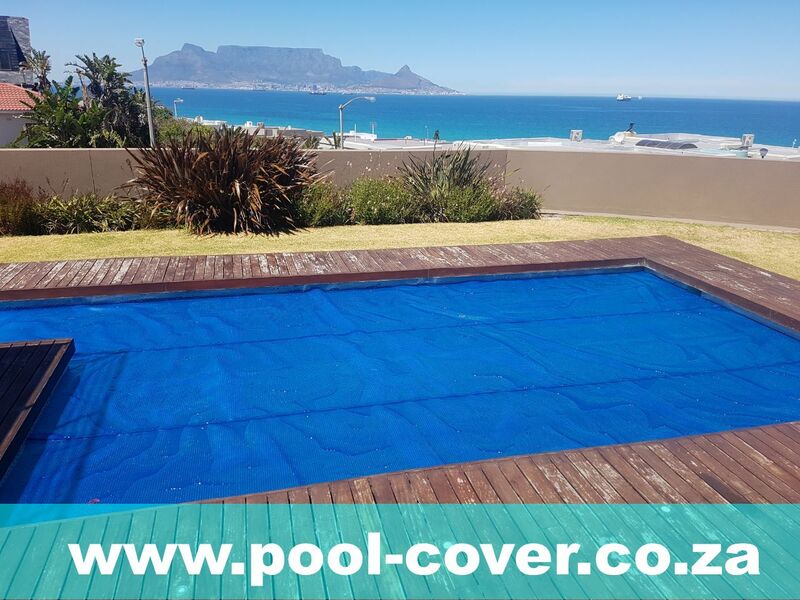 The primary function or a solar pool blanket / pool cover is to prevent water evaporation from the sun, reduce total costs & overheads of pool maintenance. 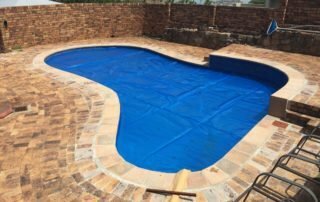 GREAT PRICES, GET A QUOTE & RESERVE YOUR COVER. COMPETITIVELY PRICED, WHY PAY MORE ? 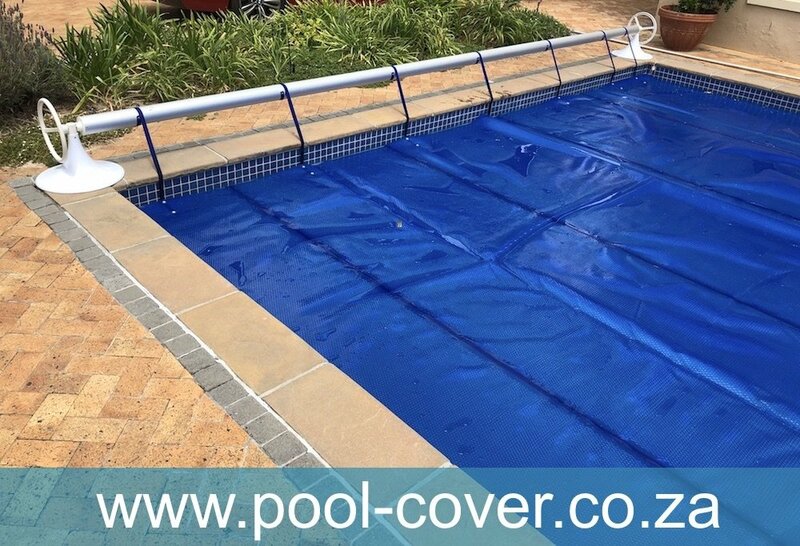 We now supply covers from multiple importers due to high demand. 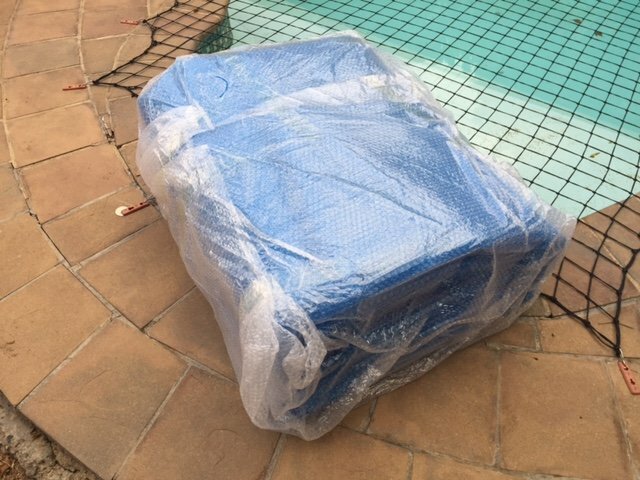 If you have ordered for self installation, the roll will be delivered folded up and covered packaging. Please refer to our self installation videos on how to install and flatten the pool cover. When fitting the pool cover, please note, the bubbles must face DOWN. 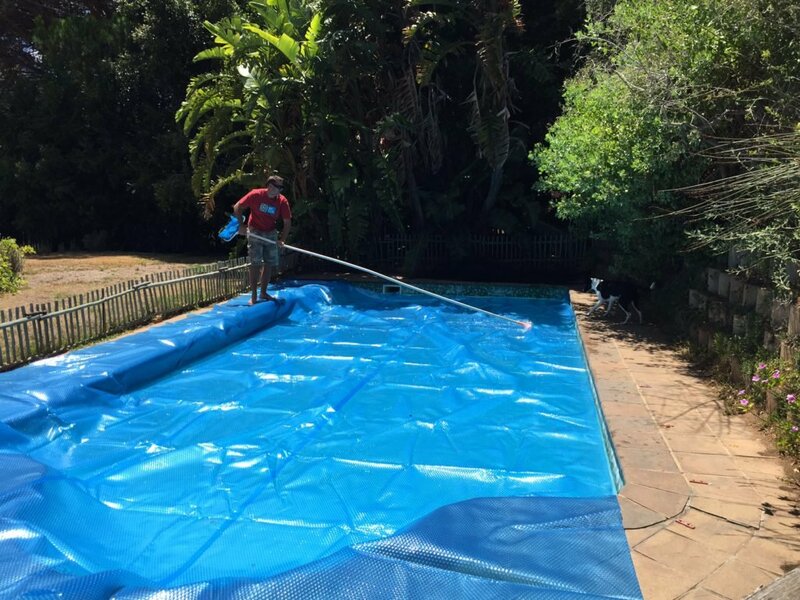 To measure the correct size of the pool cover you require, you will require to measure the widest / longest full length x full width points / edges of your pool. 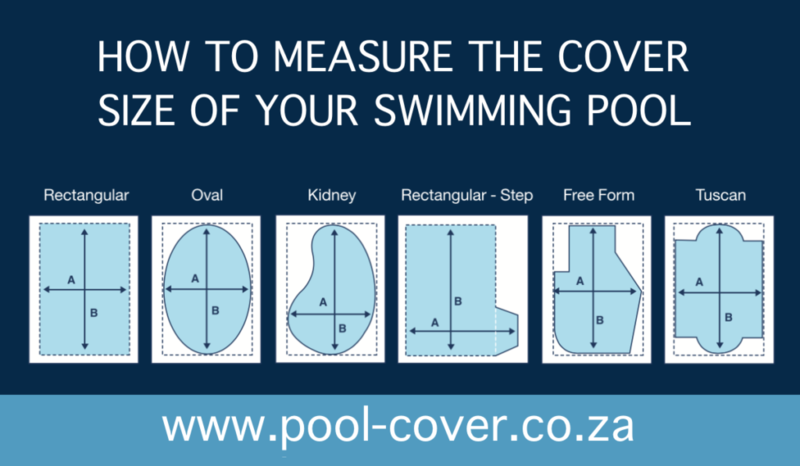 Please refer to the guide on the right for and example of how to measure by most popular pool shapes. 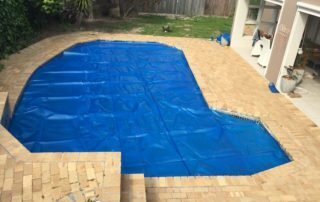 You must provide accurate measurements when placing an order. 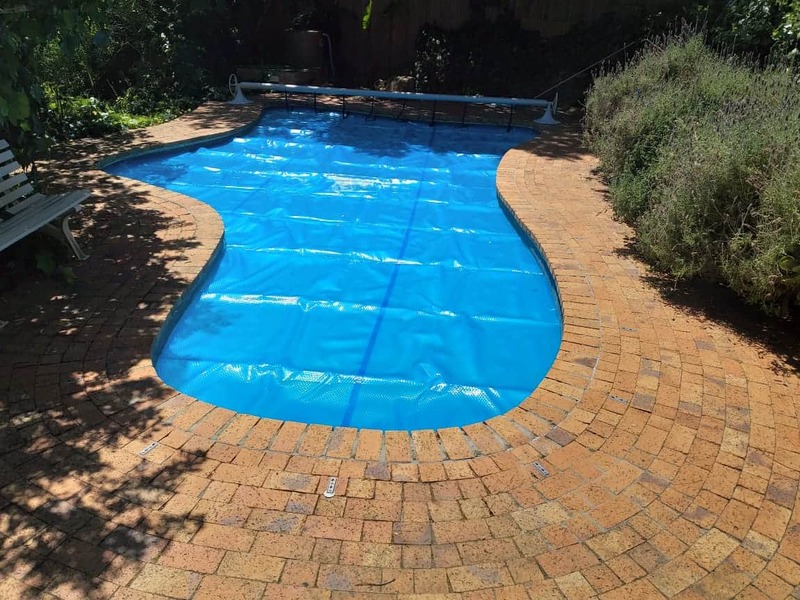 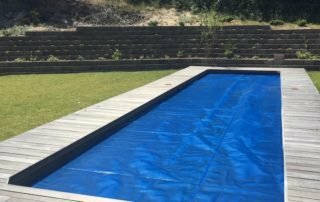 This solution we supply is a fairly simple cost effective DIY pool cover. 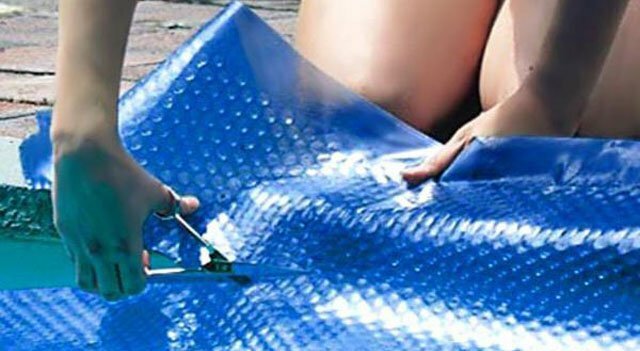 The rolls are are provided for you to DIY your own trim to fit. 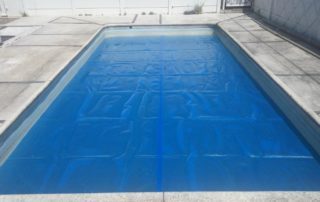 Please be sure to watch the 2 important installation videos (examples) for more information on DIY self installation and care of your solar pool blanket. 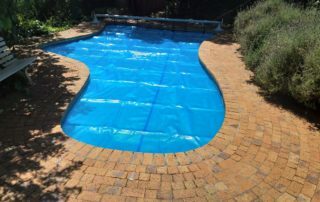 After performing your DIY installation you will need to give the cover some time to settle so that the creases / folds have time to settle, the cover should then expand slightly once it has flattened out. 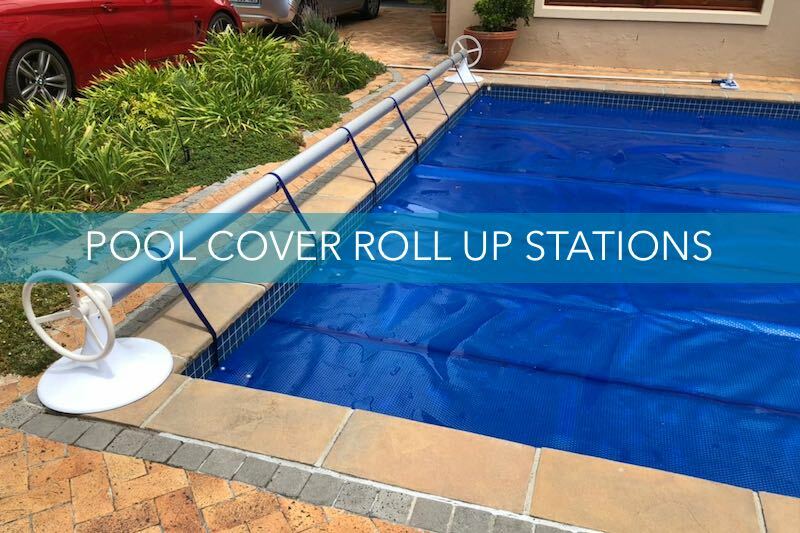 Find out more about sizes, installation and other info on our Swimming Pool Cover Roll Up Stations. 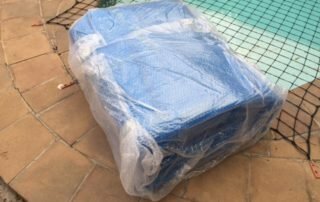 We offer delivery only. 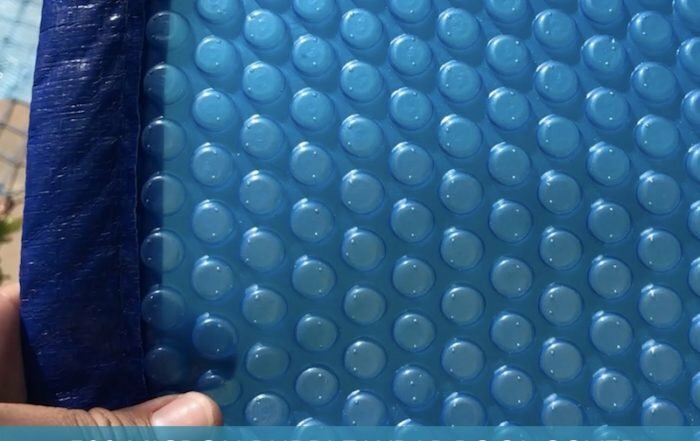 A delivery charge may apply depending on your delivery location. 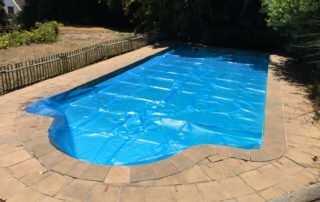 An up-front payment is required to secure your order & full proof and cleared funds are required prior to collection / delivery. 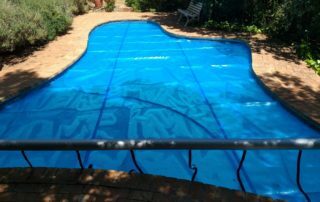 You will be required to provide the accurate size of your desired solar pool blanket. You must measure your pools total surface area carefully by measuring the length x width ensuring you cover the entire area that you wish the solar pool blanket to fit. 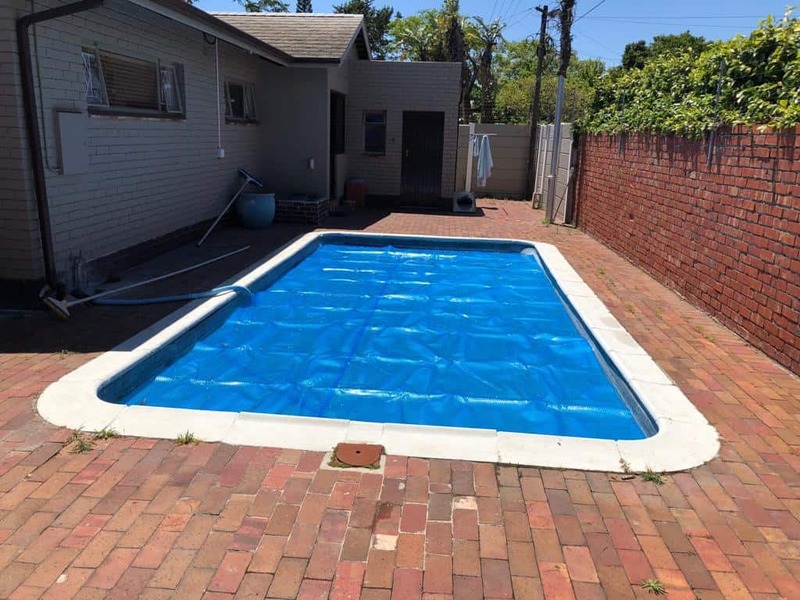 If you have an area that is not square / rectangular, you need to factor this in. 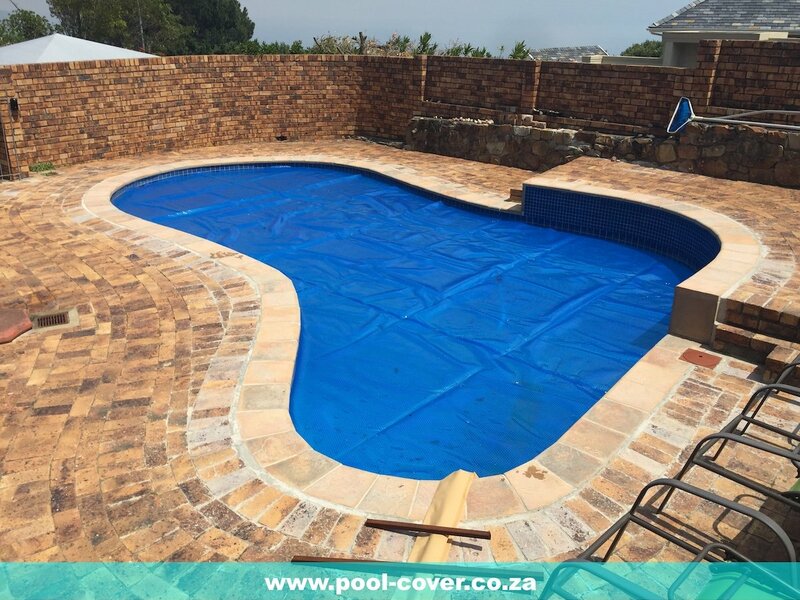 Covers are sold in total square meter measurements and will include excess off cut that has to be factored in. 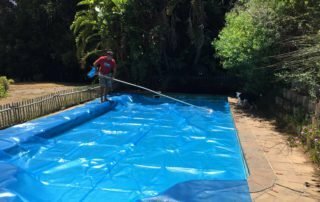 How to measure your pool. 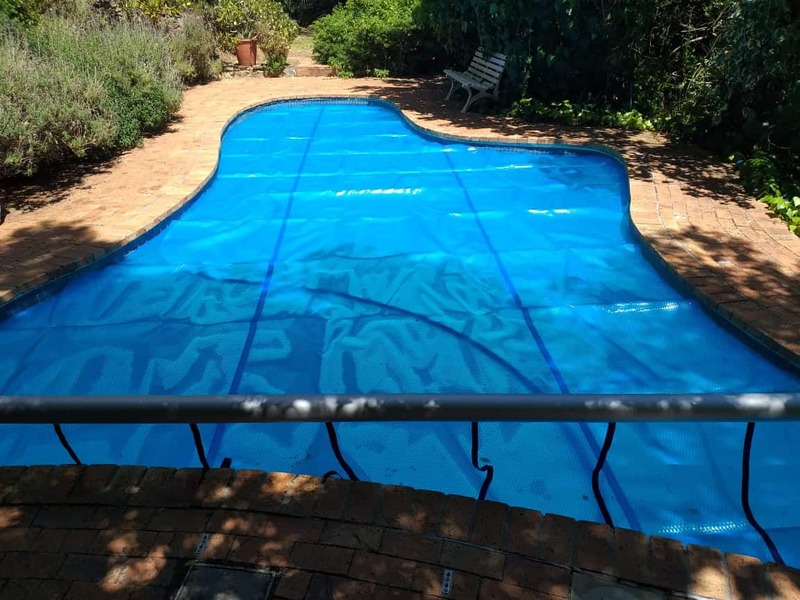 Be sure to measure the average MAXIMUM length and width covering all corners and bends of your swimming pool. 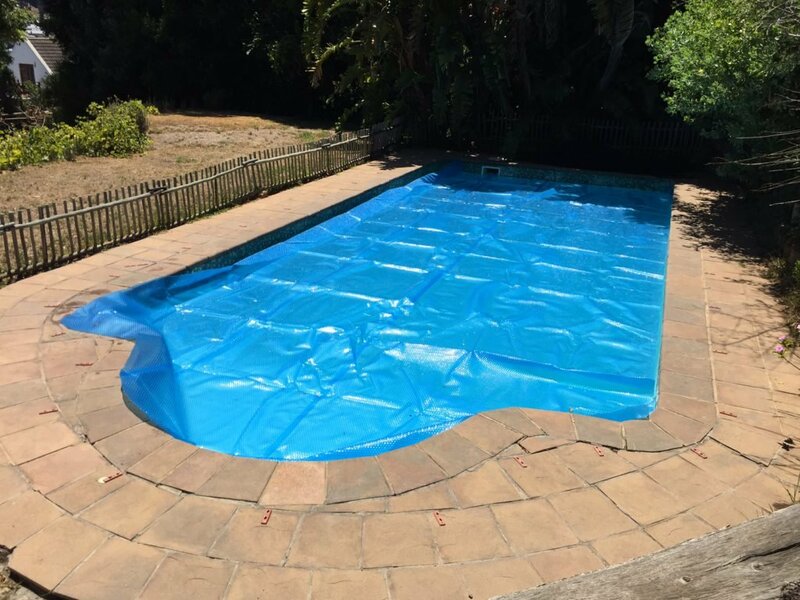 For larger swimming pools with irregular shapes, you may require to buy 2 x pool blankets to cover the expanse of your entire pool water surface area. 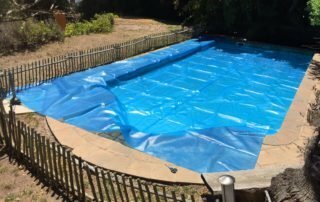 Please do refrain from dragging your pool cover over rough surfaces. 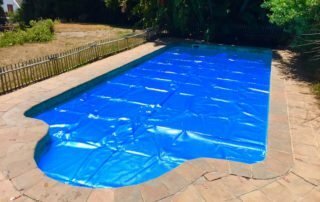 Roll up your pool cover when not in use and keep it out of the sun if not used for longer periods of time, store away safely. 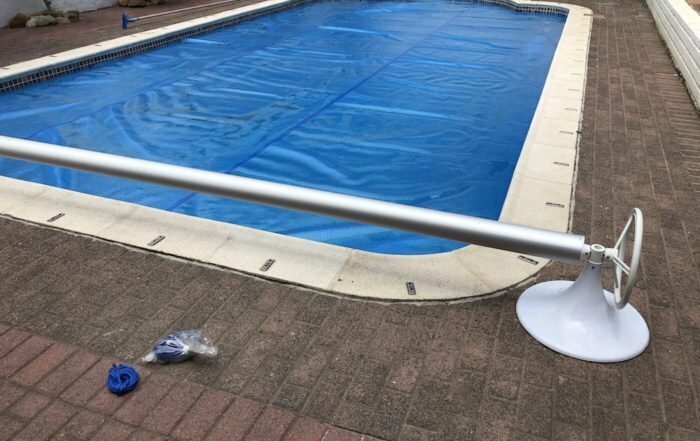 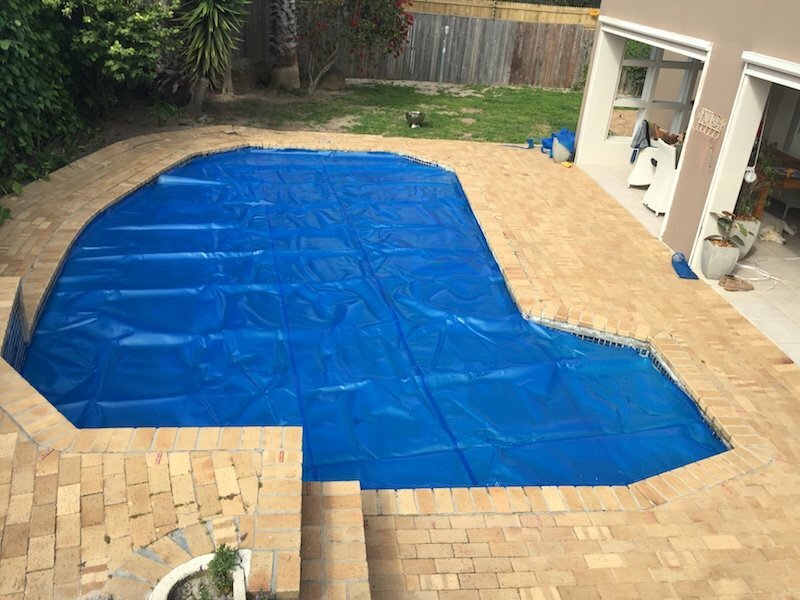 Please ensure that if your pool is exposed and subject to extremely windy conditions, your pool cover should be removed during periods of high winds in excess of 60 kmph. 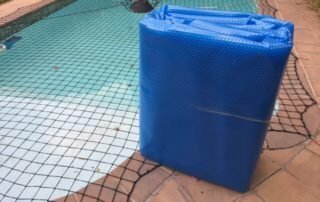 Do not walk on your pool cover when on or off the pool. 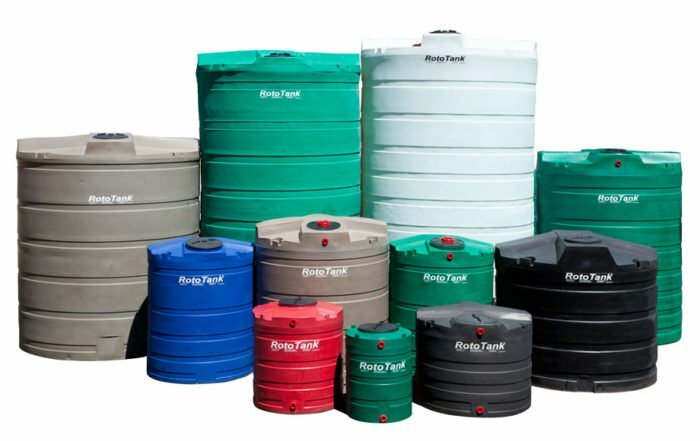 Rinse off with fresh water when storing away for lengthily periods of time. 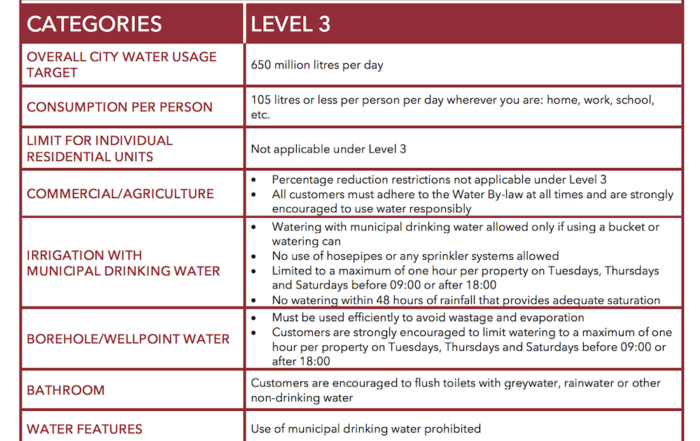 Please contact us for more detailed care instructions and information. 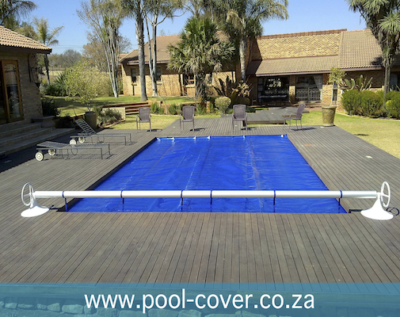 Read more on Pool Cover Care here. 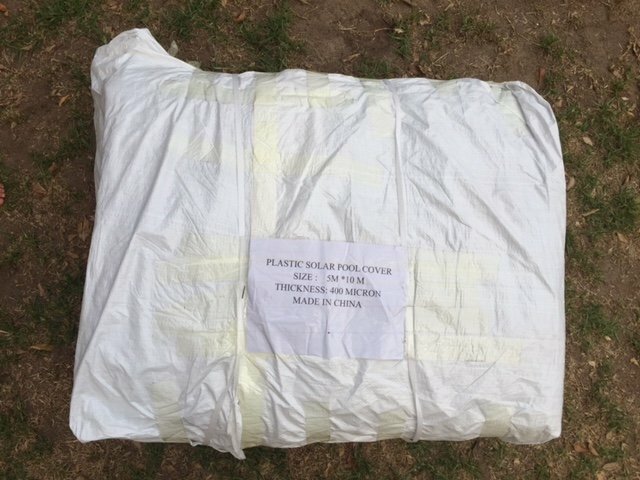 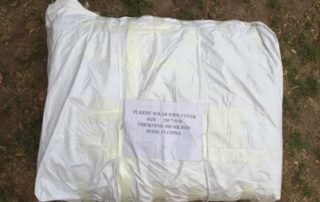 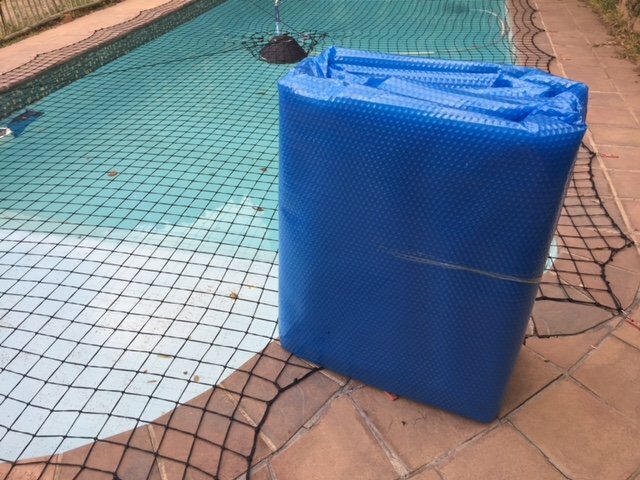 – A Bubble Wrap pool cover is not intended for safety, to hold the weight of any animal or child and is not meant to be walked on. 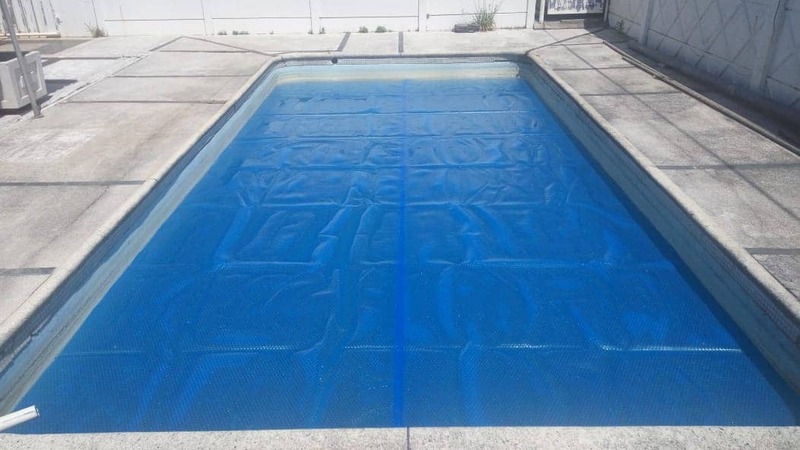 It is for the purpose of covering your pool to prevent evaporation and benefits listed above. Do not walk on or let children play with, on or near your pool if children cannot swim. – Standard safety for children and animals around a pool should apply. 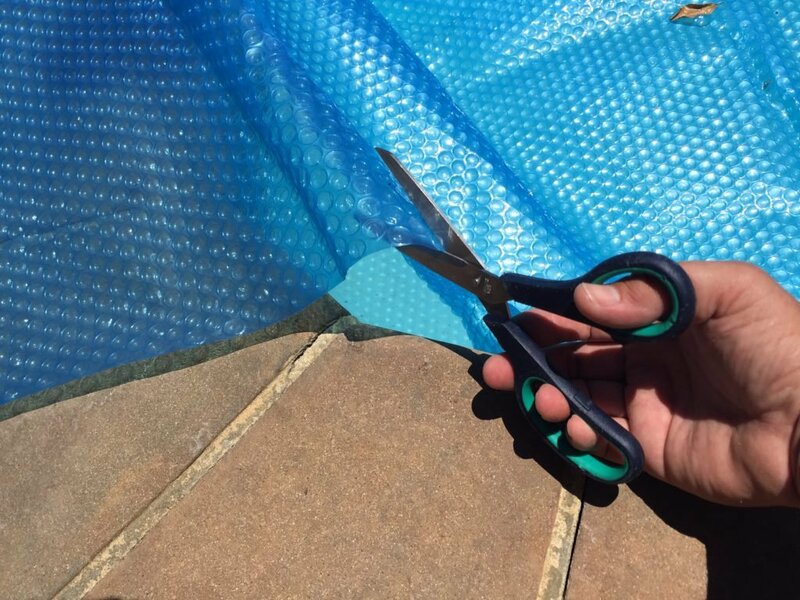 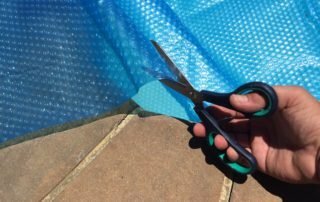 Our bubble wrap swimming pool covers are not to be regarded as a form of safety in any way whatsoever as this is not the purpose for what this product is intended. 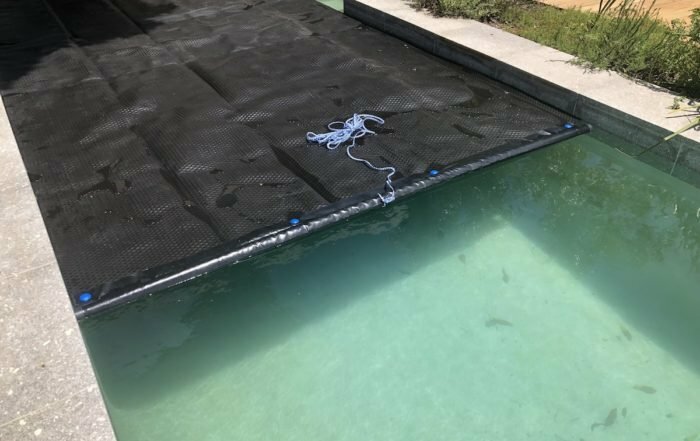 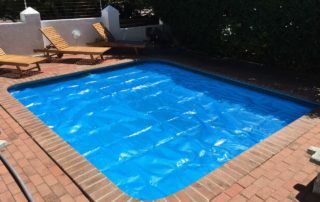 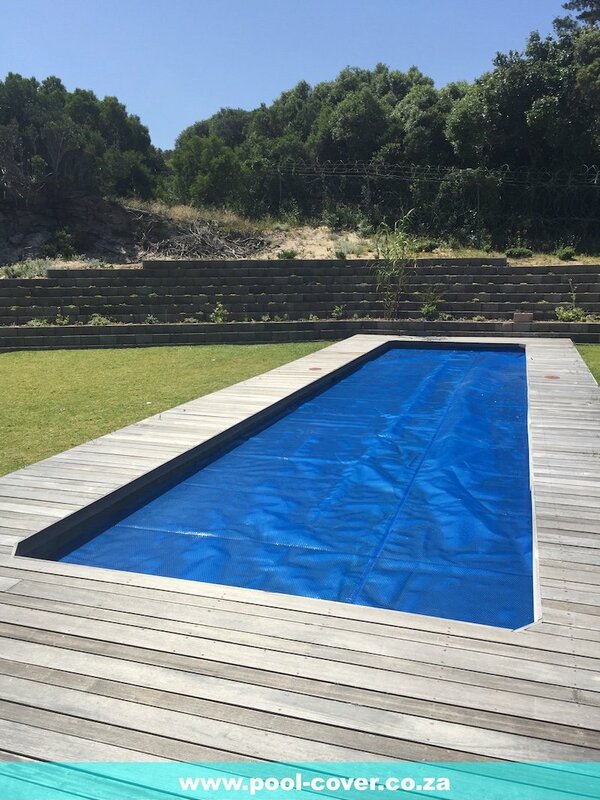 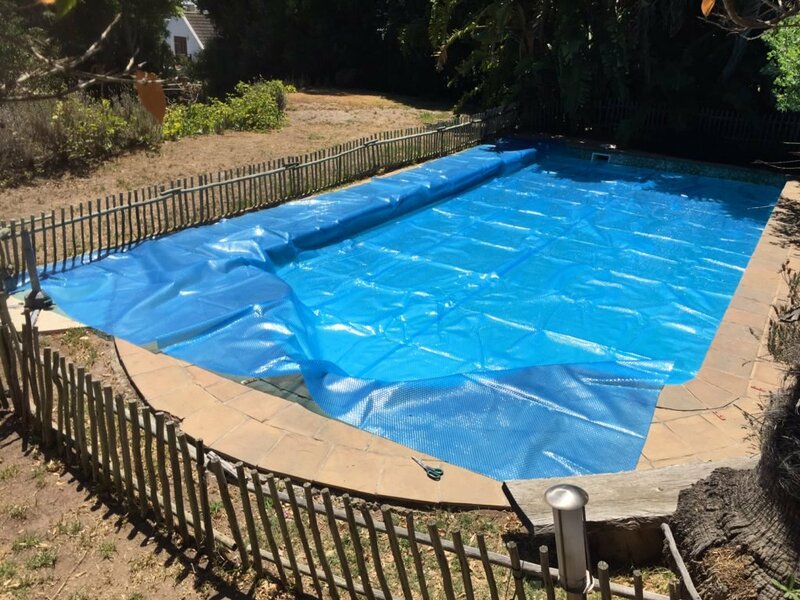 – We cannot be held responsible for any loss, injury or damages incurred in any what whatsoever with regards to the purchase and use of a pool cover from us. 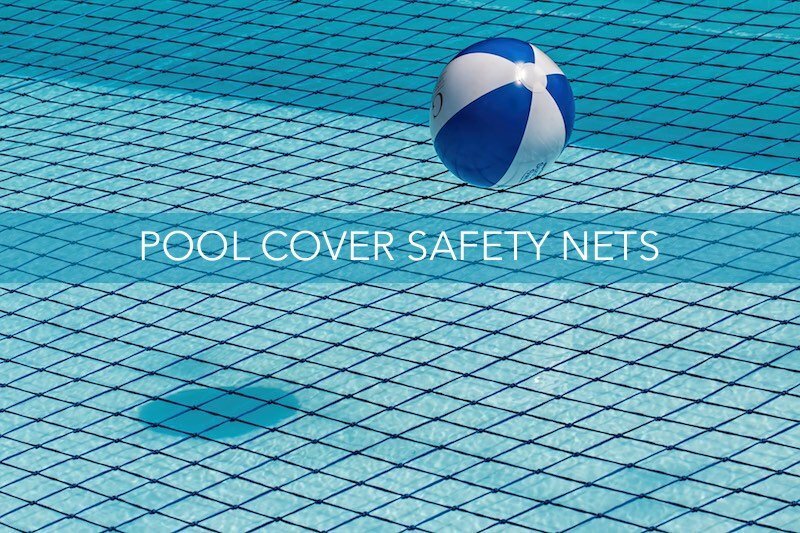 – Should you wish to purchase a Swimming Pool Safety Cover, visit our Safety Net Page Here. 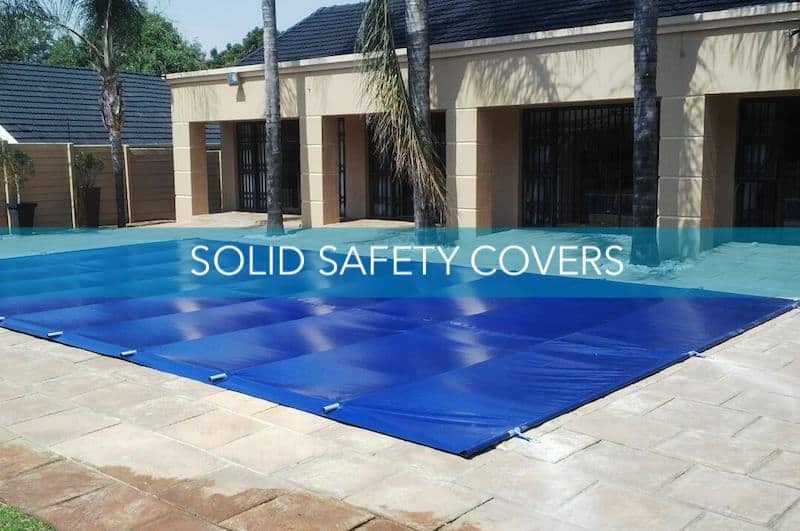 Solid safety covers are another option for pool cover safety. 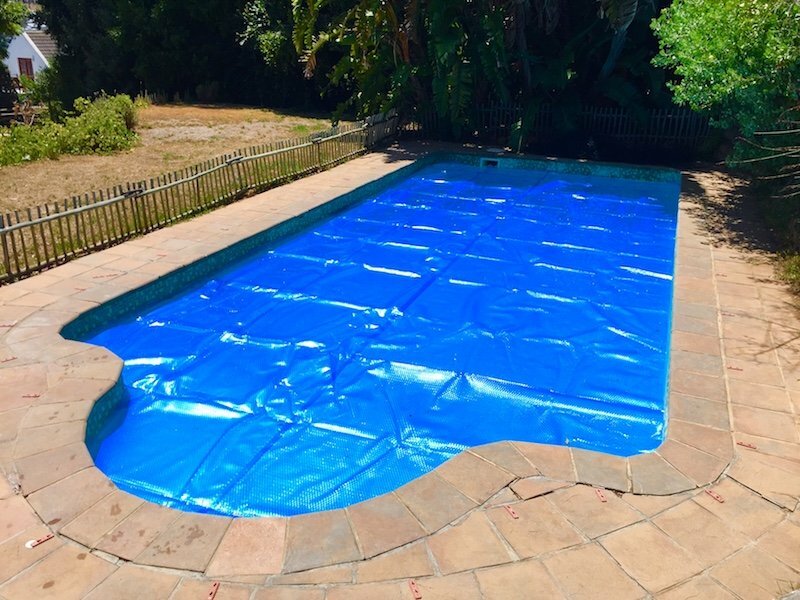 We have limited stock left in our new shipment of 500 Micron pool covers which is almost all sold out. 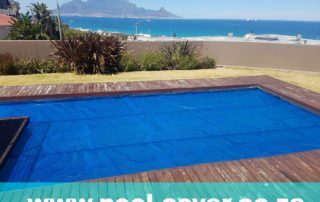 Place your order now by completing the form below to and to secure with your full payment. 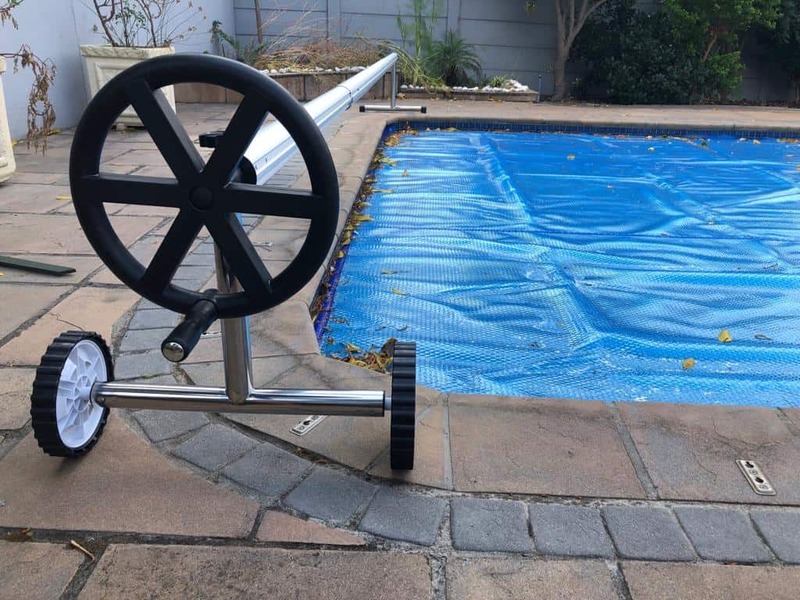 Contact us to find out if we have stock available.